Remember back when Lawbreakers lead designer Dan Nanni said that Boss Key Productions wouldn't be bringing the game to the Nintendo Switch because "it doesn't have as many buttons"? 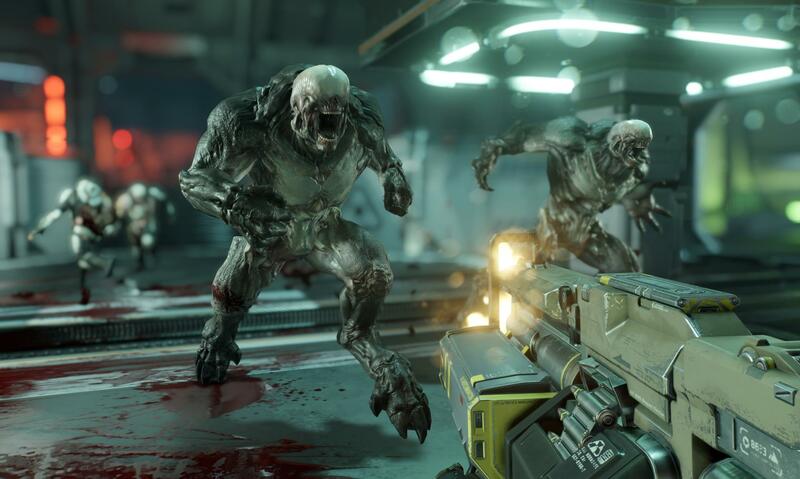 Well, apparently this lack of buttons isn't a problem for id Software, the popular game developer that announced it was bringing its stylish and fast-paced FPS Doom to the Nintendo Switch in a recent Nintendo Direct presentation. Despite the tremendous hurdle of having to cope with exactly as many buttons as can be found on any other modern console, id Software is nearly finished with its work on the new port, and Switch players will be able to play it soon, as it's releasing on November 10. Aside from the title's critically-praised gameplay -- it did win Modojo sister site Shacknews' coveted Game of the Year title in 2016, after all -- the Switch version of Doom is set to include the main course plus all the fixings, including the full single-player campaign, all of the various difficulty modes including Ultra Nightmare mode, the fast-paced Arcade mode, and all of the previously-available multiplayer maps and gameplay modes, which includes all previous DLC releases. Nintendo Switch players and eager first-person shooter fans can get their first taste of Doom on the Switch on November 10. The game is expected to retail for $59.99, and can be pre-ordered at most popular retailers, including Amazon. Despite an alleged shortage of available buttons, the Nintendo Switch is still perfectly capable of playing some of today's hottest portable games, the likes of which we've featured over on our list of the Best Nintendo Switch Games.